In our stand you will be able to see a punch-shear combination machine CUPRA, a fully servo-electric and low consumption machine. DANOBAT punch-shear combination machine is the result of process integration, key for production optimization. Two leading technologies are integrated in the same system: punching and shearing technologies, which permits to start with raw material and obtain finished product in a single system, thus reducing maturation period and improving material flow. - High punching and shearing rates, thanks to the servoelectric drive of its motors. - Drastic reduction in the power consumption. - Greater material use, due to a better scrap management. - Reduction of set-up times, thanks to the automatic and programmable clearance regulation. 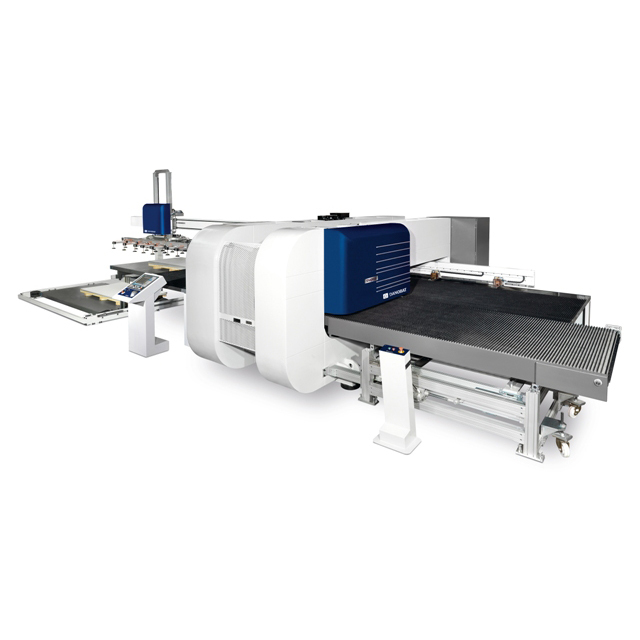 The DANOBAT punch-shear combination machine is definitely the perfect solution for rectangular pieces and large production volumes.